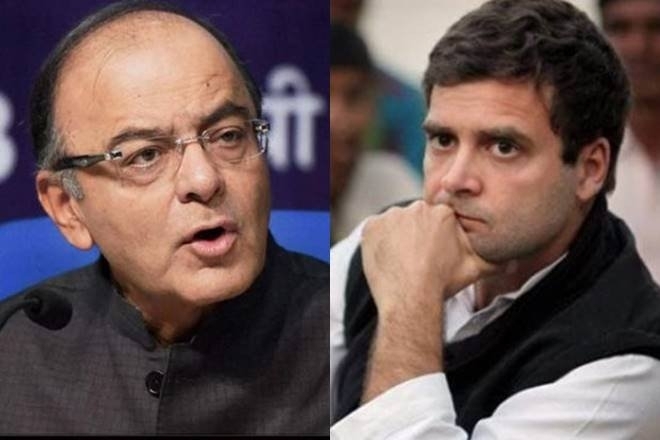 Union Finance Minister Arun Jaitley today slammed Congress president Rahul Gandhi for promising India's poor a "historic" minimum income guarantee scheme, saying that a party with such a terrible track record of poverty alleviation has no right to make such assurances. In the last 5 years, the govt. headed by PM Narendra Modi introduced DBT through banks. Besides subsidies for food, fertilizer, kerosene, 55 Ministries handed over subsidies to the poor through the DBT which was enabled by AADHAAR. The latest announcement of the Congress Party if tested on simple arithmetic then ₹72,000 is less than 2/3rd of the existing DBT under Modi government, which averages ₹1.068 lakh annually. So what is being claimed by the Congress Party - A bluff announcement.